Even those Two French Bulldogs have been asking when we'll switch from pink to orange. Well black & white is here to stay, baby. Just sayin'. Waffles, you might be cute, but you'll never be able to wear my classic colors. On you they're just...so...grey. So stay out of my closet already. 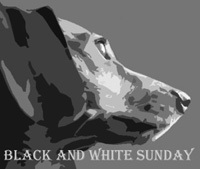 We're part of the Black & White Sunday BlogHop. Waaaa we never get to do B & W Sundays because we do book review/giveaways. Waffles looks less naughty in B&W. We have to agree Katie no one can do classic Black N White like you not even grey Waffles. Have a serene Sunday. Just Gorgeous Katie! Black and white will never go out of style! Proof that sometimes seeing in black and white is better than looking at the grays. Black & white is always dressy & fashionable! You rule, Katie! Happy Sunday! Those are fantastic pictures of both you and Waffles, Katie. Well Katie, there was never any doubt in my mind that pink trumps orange!!! We don't ever see you losing control of the blog, Katie...we know you won't let that happen! Katie, you rock the black and white photo like Waffles could never dream of doing. You are right, Katie. The black and white theme is all yours! 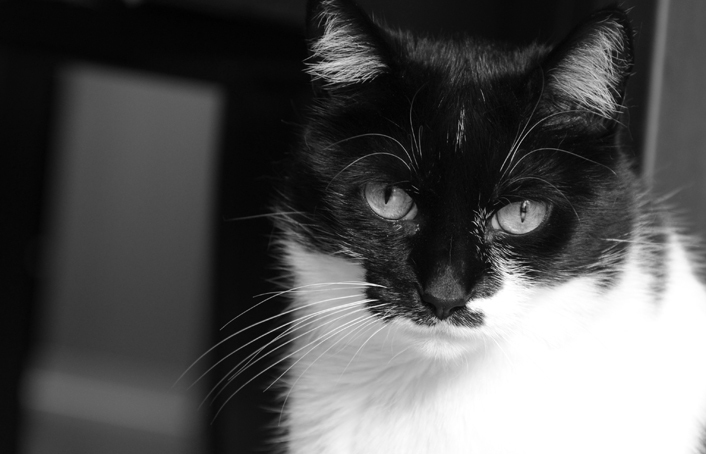 Sorry, beautiful Katie, Waffles even looks cute in black and white. Katie you will always be adorable. Sorry but; Waffles still looks cute. Ummm... uhhh... on Waffles, black & white looks sort of like... uhhh... ME! You're a classic Katie, nothing can beat that! We know you are QUEEN Katie! 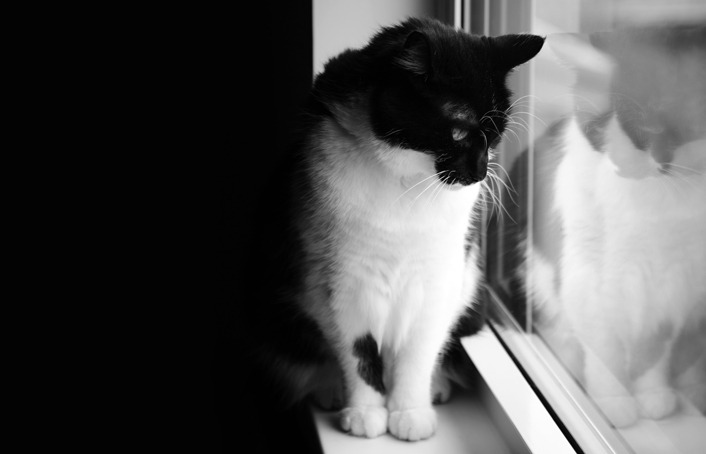 Even though W2 is adorable, we don't think orange will ever replace black and white. *Unless she bribes me, of course. Allie: you GO girlfriend! Monochromatic - with a splash of pink. it's ALL the Rage. Katie, Orange is cute, but one of the things we love about kitties is that deep and quiet beauty. 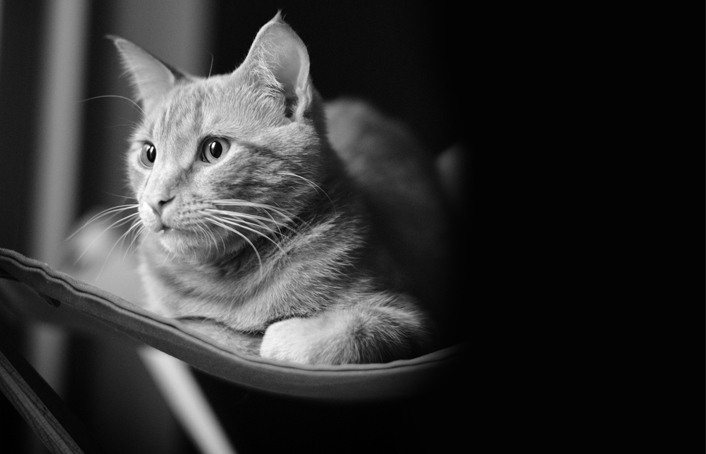 We don't think Orange will ever accomplish that, even in black and white.